There’s nothing like someone coming to shoot some photographs in my house to motivate me finish a lingering project. 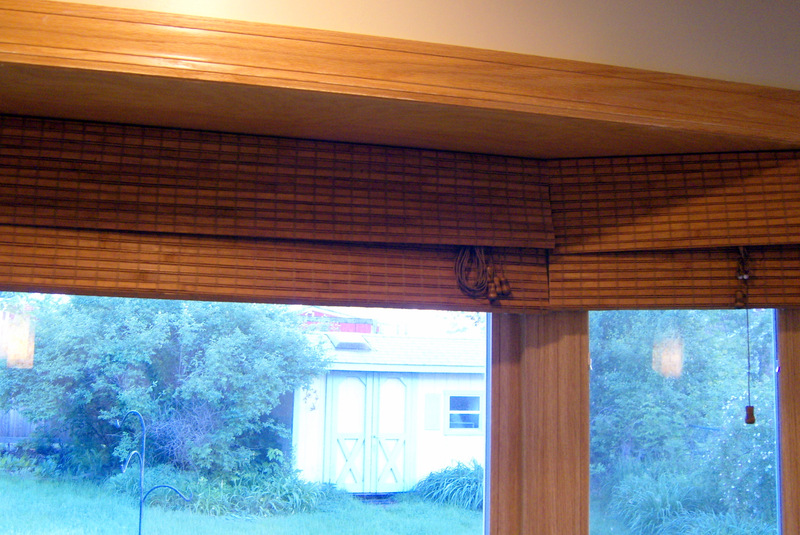 Yesterday, it was the bamboo roman shade in the kitchen bay window. I started having trouble raising the shade completely a couple of weeks ago, but just assumed that the problem was the ever-growing tangled knot of cords impeding its smooth operation. The shade starting drooping on one side, its rakish angle catching my eye each time I passed. Piles of clutter, attracted to the aura of neglect, accumulated on the window sill and slid off onto the floor. I finally looked at the back of the shade, and discovered that three of the four cords had escaped their rings and were just hanging there, not pulling their weight. I also noticed that several plastic rings seemed broken, and assumed I’d need a trip to the fabric store to find some new ones. Another errand to put off to another day. Which brings us to yesterday morning, when I ran out of time to procrastinate. The photographer was coming in the afternoon, and I couldn’t bear the thought of that sad, lopsided window shade marring photos of my kitchen. 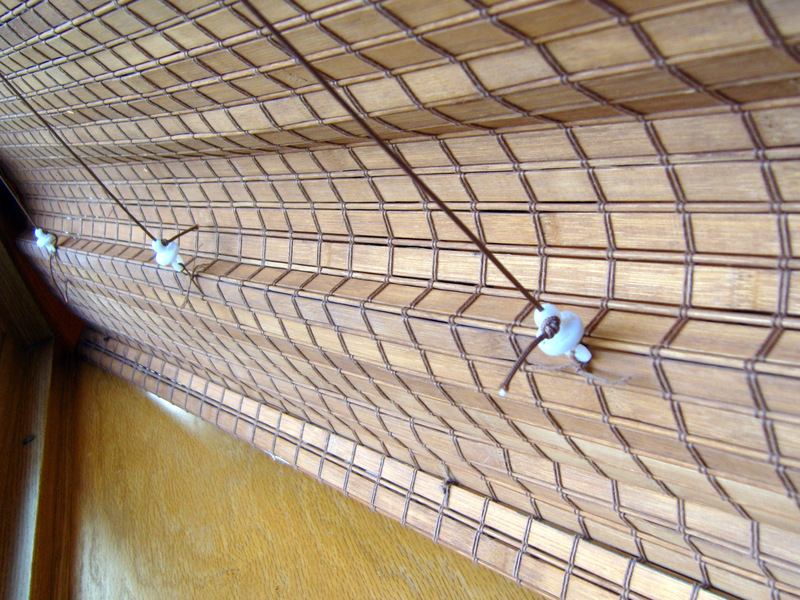 I unscrewed the three wing nuts holding it in place, and laid the shade face down on the floor. My first revelation was that the plastic rings were not, in fact, broken, but manufactured with a small opening, presumably to make it easier to string the cords. Then I realized that the real problem was that three cords had become disconnected from the bottom rail. All I had to do was thread the cords back through the rings and snap the plastic connectors together at the bottom. Ridiculously simple. Those white plastic thingies had disconnected, but they snap right back together. 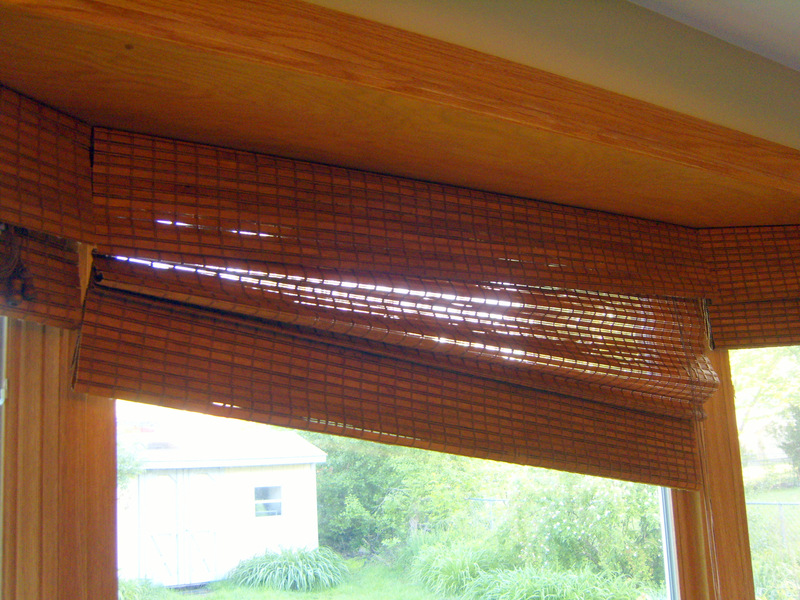 I reattached the blind to the window, and cautiously raised it. Success! I gathered the stacks of two-week-old newspapers, the bits of yarn, the stray toys. I scraped all the sticky tape off the glass (left from a flurry of paper snowflakes decorating our windows last winter) and washed the windows. Photo ready! Like Monica said in a different post, it’s all a row of falling dominoes. Once you finish one project, you’re off to do another one. It looks great, though! The shades in our bedroom are on their last legs. I don’t even know how old they are. They were here when we bought the house 8 years ago…so maybe the 80s. Gah. I installed these blinds myself, so at least I knew how to take them down. I still need to get some for the bedroom–it’s really too bright in the mornings! In my mind all those little things that need to be tended to snow ball to these huge don;t have the time, can’t do things. Then when I finally do them I am surprised how easy it was. Happens every time, never fails. Love this post. Don’t know how many times I’ve put something off because I thought it was going to be really hard, and then it turns out to be simpler than I thought. (Of course, the reverse is also often true…) We recently bought very similar shades. If they go wonky, I hope I remember this and investigate right away!